For the fifth consecutive year, Franchise Business Review ranked InXpress as one of the top 50 franchise organizations, once again sealing their spot as the top franchise in its category. We’re very honored to win this award because of what it reveals about our company. The award serves as an indicator of franchisee satisfaction and franchise strength. All active InXpress franchisees were invited to complete a survey of over 50 questions concerning their overall franchise experience. Questions covered a variety of topics, including training, support, financial opportunity, and even satisfaction with franchise systems. 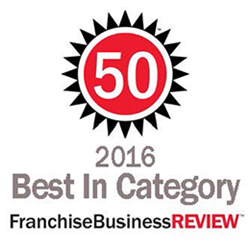 Franchise Business Review also determined award rankings from quantifiable measures of franchise operations. These included measurements of financial strength, growth rate, and years of operation. FBR’s process ensures that each candidate is fairly assessed so that only top franchises make the list. Since 1999 InXpress has served international customers with complete, customizable shipping solutions. Its online shipping software, WebShip, provides a fully automated shipping process and franchise owners around the world deliver best-in-class customer service. For more information visit http://www.InXpressUSA.com or call 801-495-7894. InXpress provides global delivery and shipping solutions to local businesses. The company serves its customers in a unique role, acting as a strategic business partner and cost-saving advocate by providing personalized service and shipping details. World-class carriers, like DHL, then handle pick-ups and deliveries. This logistical process saves customers both time and money. Founded in 1999 and rolling out the franchising side of their company in 2000, InXpress now has offices in more than 90 locations across the United States, 172 others internationally, and plans for more to come. Franchise Business Review is a national franchise market research firm that performs independent surveys of franchisee satisfaction. We examine the critical areas of a franchise system including training & support, operations, franchisor/franchisee relations, financial opportunity, and more. FBR’s annual survey results deliver the unbiased facts about the overall health of a franchise system directly from today's franchise owners.